William Hill Bingo was reviewed by gambleNEXT.com and earned a 9/10 rating. William Hill Bingo is an established, well respected brand among INT users. With games running all day long, William Hill Bingo will meet expectations easily. Bingo jackpots are some of the biggest, and bingo ticket prices start from as low a 2p. The Lucky Numbers Bingo room offers a good range on prizes to win, while Deal or No Deal Bingo brings the interactive TV style game to any PC. William Hill Bingo offers 75, 80 and 90 ball bingo games. To spice it up, you can also try multi-variant bingo. At any time, players can switch to some side games to keep their time fully occupied, and among the most popular here are slots, arcade or scratch cards. With the chat options, players can feel they are part of a community as they can share photos or send status messages. William Hill Bingo is a must play bingo room, and the welcome bonus available to new users will surely make it easier to register for an account. When you register your William Hill Bingo account, you will be asked if you have a promotional code. Check below our latest William hill Bingo promotional code to use and get your maximum bonus. The William Hill Bingo bonus is offered as a deposit bonus up to a total of €30 / €30 / 300 Kr. Register with William Hill Bingo and enjoy a great bonus to be used on a multitude of bingo games. Bonus match is to be offered based on the country of residence of each player. William Hill Bingo has no mobile version at the moment. 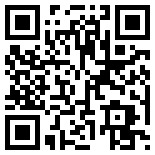 To check online bingo rooms with mobile version visit m.gambleNEXT.com from your mobile device or scan the QR code to the right. Check below what other users have to say about William Hill or write your own review if you have used William Hill Bingo.